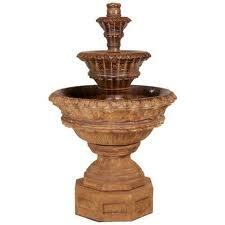 Shopping for Statuary and/or Fountains? Click on web links below to view some of our suppliers catalogs. See something you like? Call us or drop us an email to receive pricing. 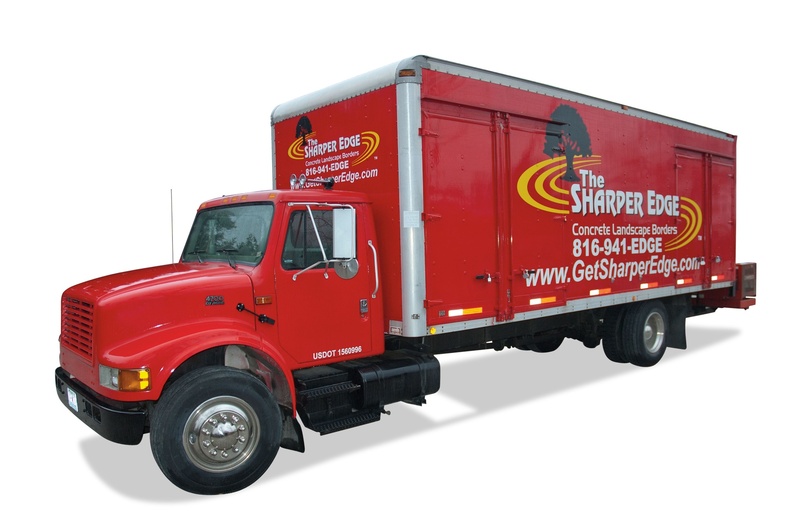 LOW PRICE GUARANTEE: The SHARPER EDGE® guarantees that we will have the lowest price on statuary, fountains & planters that you will find anywhere, including online websites. If you find a lower advertised price on exact merchandise from another supplier, we won't just match the price, we will happily beat their price by 125% of the difference in cost. Just provide us the name of the seller and one of the following: a written quote, photo of sales tag including item number, or a link to an online store. Shop with confidence. We want your business and we wont be beat! Click on a category below to view specific link category. Any of the products available from these high quality fountain and statuary manufacturers are available for special order through our retail showroom. No additional charge for special orders and we pay the freight when items are brought in with our next stock order. 1000's of items to choose from. From classic to contemporary, from traditional to whimsical, Henris extraordinary range of fountains, planters, birdbaths and garden ornaments is incomparable. The Old World craftsmenship of Henri artisans infuses each and every Henri creation with peerless, premium quality. Inspired designs, rich colors, and thoughtful engineering have made Henri products sought after in North America and around the world. Since it was founded in 1983, Campania has been a premier designer, manufacturer and distributor of fine garden accents to independent garden centers throughout the United States and Canada. Campania offers an extensive range of products in a variety of materials and styles from classic to contemporary. Campanias Cast Stone Collection is designed and manufactured at their facility in Pennsburg, Pennsylvania. Massarelli's has been going strong and growing stronger - since 1972, a first-generation business that continues to serve the United States and Canada with quality, hand-crafted ornamental stone statuary in a friendly, family-owned style. This wonderful company specializes in historical & licensed reproductions with collections from famous places such as the Biltmore Estate, and Charleston. Finishes are truly unique and appear aged from the day they arrive. Castart Studios is an innovative manufacturer of original designs in garden statuary, ornaments, sculpture, birdbaths, fountains, benches, lanterns, planters, and our popular face collection. We create modern interpretations of classic designs and unique originals and continually innovate with new designs being created on an ongoing basis. We have themed collections that include: Ancient World, Buddhism / Eastern / Asian, Butterfly, Classics, Dragonfly, Frogs, Gargoyle / Mythological, Hummingbird, and Turtles / Fish / Otters. Located in San Francisco, Giannini Garden Ornaments was established in 1993. We design, manufacture, and sell fine cast-stone garden ornaments including fountains, planters, benches and statuary at our factory and showroom. We are also factory-direct importers of fine Tuscan terra cotta, ceramics and pizza ovens from Italy. Unique statuary and one of a kind finishes from a small, specialty manufacturer in Birmingham Alabama. Since 1949, the Al's Garden Art brand is renowned for its designs of authentic, handcrafted and finished water features and garden art adored by residential and commercial clients alike. Manufactured exclusively by Fiore Stone, Inc., the Al's Garden Art product line can beonly be found on display at select retailers. Specializes in more contemporary, unique fountains. We stock hundreds of common gardening supplies and have 1000's of items available for special order with free shipping to our store. Hydrofarm is a leading distributor and innovator in the hydroponic gardening industry. A leading distributor of Hydroponic equipment and supplies. Another leading distributor of hydroponic garden supplies. Metropolitan Galleries Inc. is the leader in production for superior quality bronze statuary and fountains for indoor and outdoor use. Our bronze statues are cast in some of the highest quality bronze foundries around the world, making the bronze statues and fountains last for generations to come. Our statuary and fountain services cater to the design and furniture trades, along with hospitality groups, recreational and educational facilities. Founded in 1992, Our product line began with bronze statues. Brass Baron is now a division of Henri Studio. This high quality bronze statuary ships free of charge to Kansas City with any of our stock orders. Located in the heart of Minnesota, The Outdoor GreatRoom Company? (OGC) manufactures unique, upscale products with design appeal for outdoor living spaces. Products include gas fire pit tables, gas fire burners, pergolas, outdoor kitchen islands, outdoor gas fireplaces, outdoor patio furniture, and accessories. High end cast aluminum furniture at reasonable pricing. We skip the middle man on this line and buy direct. Full catalog available in our showroom. Copyright © 1999-2019 Sharper Industries, Inc. All Rights Reserved.